Brick Town Talk: Inspiration of the Day - 9/16/11 - LEGO Town, Architecture, Building Tips, Inspiration Ideas, and more! Forest Hills Gardens, Queens, New York - (BTT) Yes, you read that right - this is not some sleepy town in Europe but a planned community right in New York City. 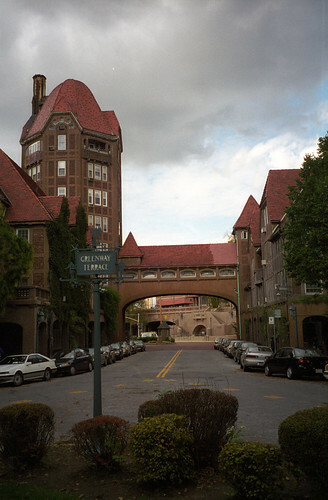 Architect Grosvenor Atterbury, along with landscape architect Frederick Law Olmsted, Jr., began planning the 142 acre neighborhood around 1908, and just a few years later the streets were in place and landmark buildings like the Forest Hills Inn above were proving that a 10 minute train ride out of Manhattan could transport a person to a completely different world.